We love finding tenants a property to rent that's just right for them; whether you're thinking of your family, a place made for two or somewhere just you can enjoy. 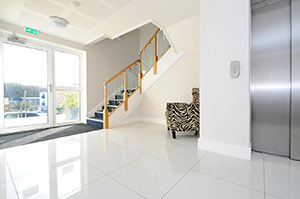 Express Property Services are an established professional residential lettings agency. We've been in west London for over 30 years so know all the prime locations and understand the quality of flat or house you're looking for and want to call home. Even before showing you a property we ensure we've answered all of your questions and understand what you're looking for to match you with the right home. You can help us by sharing whether you're looking for furnished or unfurnished accommodation, how long you want to stay and if we're finding a home for you and a precious pet. We only work with professional tradespeople and have an excellent panel of carefully selected maintenance contractors who carry out work to a high standard and understand they are visiting someone's home. If you need us to resolve anything during your tenancy contact us. Enjoy peace of mind with Express Property Services. We are a very active member of ARLA (the Association of Residential Letting Agents) for over 25 years. ARLA is the UK's foremost professional body for letting agents and actively promotes the highest standards across every aspect of residential lettings and management. If you are looking for a professional and knowledgeable letting agent to find your next home in west London then contact us today.